After the workshop I mentioned on Day 1 of this series, I had 10 card bases left. I made three additional 3”x3” thank you cards to complete the set of 4 small cards yesterday, so now I only have one of the original card bases left. BUT I still have LOTS of tags & embellishments! Card #13: This one is very similar to the sample, but I exchanged a glimmer paper circle for the scalloped circle and added a silver glimmer heart. Whew! 13 cards done, and I still have more tags. What to do? 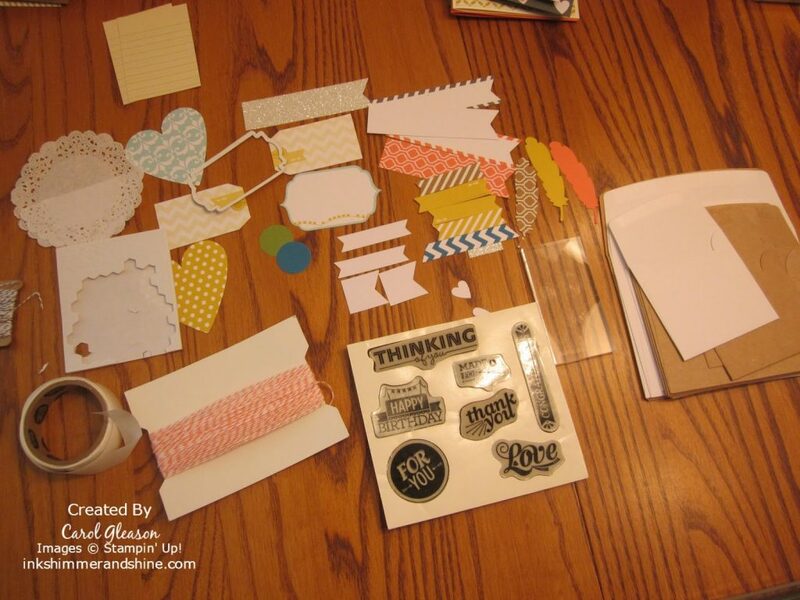 Use the card kit color combinations and layouts to create some more cards, of course! 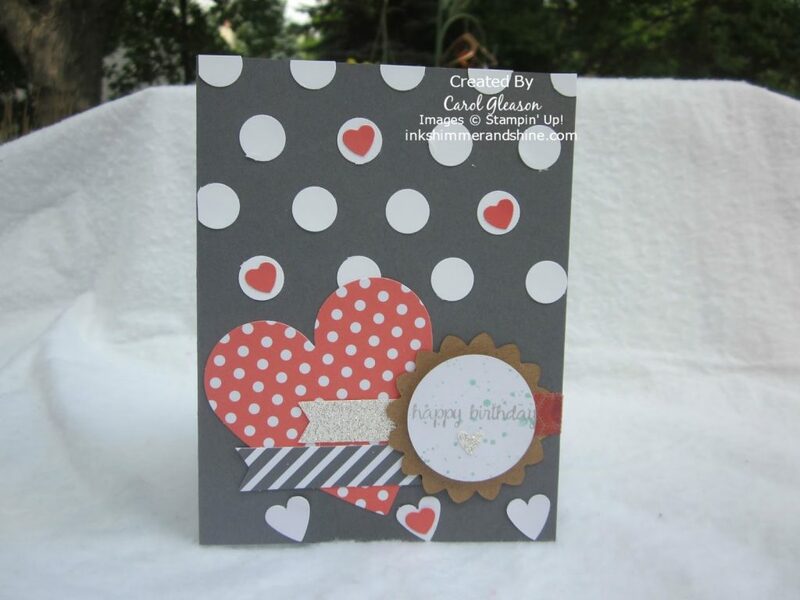 Card #14: Mimic the look of the gray polka dot card above by punching ½” circles out of Whisper White scraps. Adhere them with a glue stick, or your favorite adhesive. The heart banners, kraft scallop & larger white circle are from the kit. I used Smoky Slate ink (since my Basic Gray needs reinking) and the Happy Birthday sentiment from “And Many More”. Then I added a few Pool Party splatters using the “Gorgeous Grunge” stamp set, and a few Calypso Coral hearts. 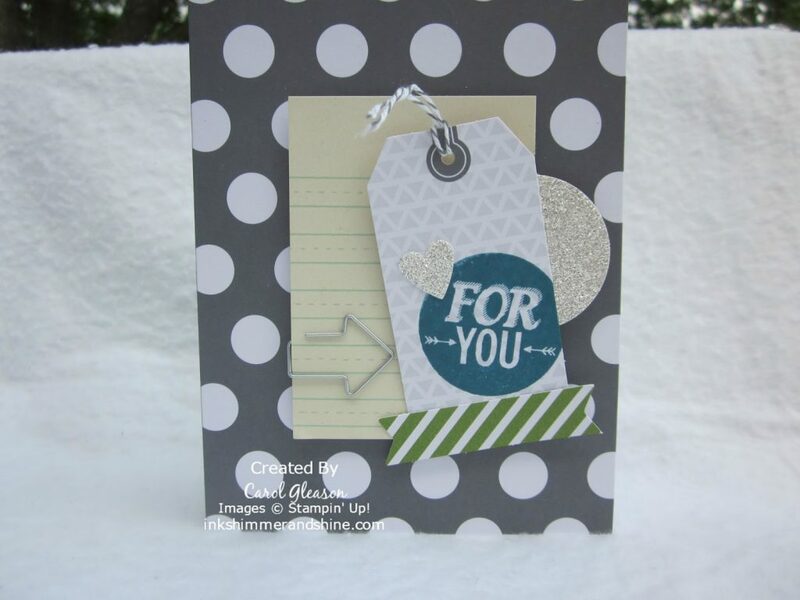 One tiny silver glimmer heart on the circle adds a little sparkle to this sentiment layer! 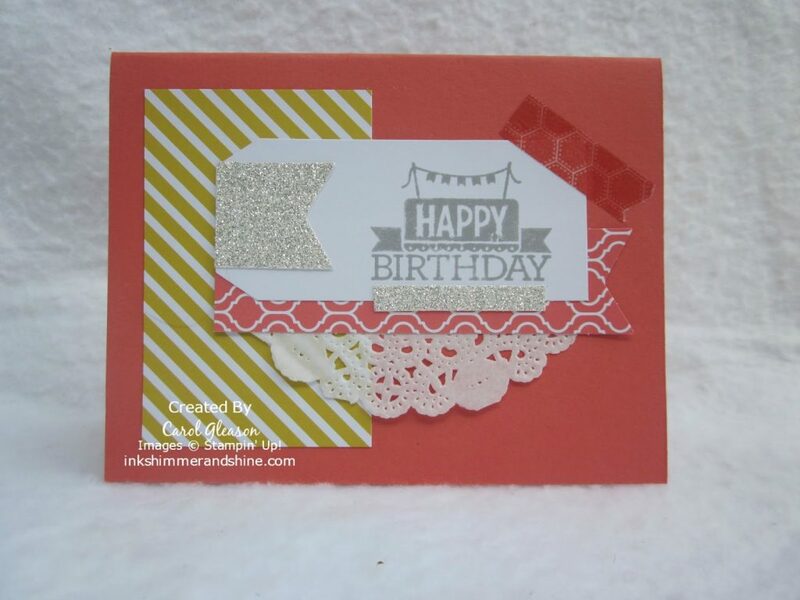 Card #15: I still have some Summer Starfruit Designer Series Paper in my collection (do you? ), so I cut a 4” x 5-1/4” piece for this card & attached it to a Very Vanilla card base. 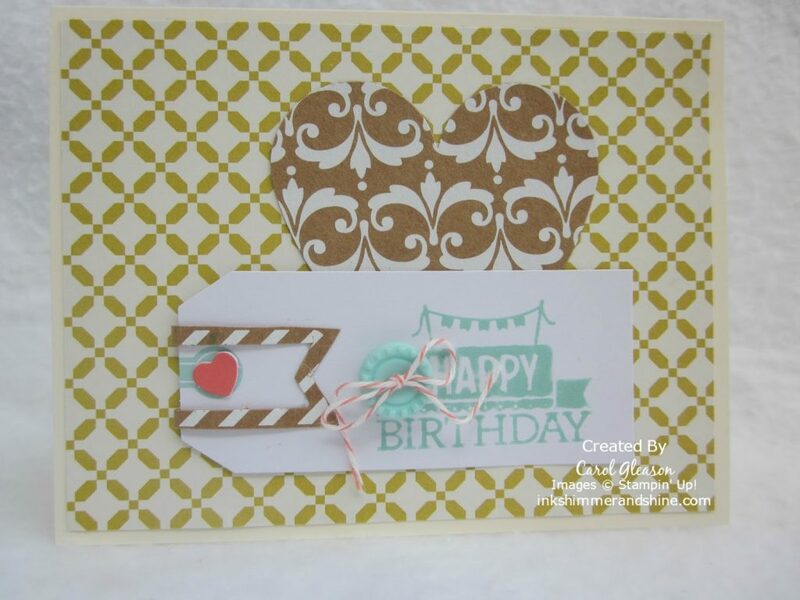 Next I added a Kraft heart from the kit and stamped the Happy Birthday sentiment in Pool Party on the tag. The little Kraft banner piece was created by trimming around the scrap left from the banner cutout. To finish off the card, I added a Calypso Coral baker’s twine bow. Card #16: After using Calypso Coral accents on a few of these cards, I decided to use it as the base for this one. All the other pieces are from the kit, except the small piece of washi tape that snuck into the upper right corner. And Many More, For You, Gorgeous Grunge. Bookmark.